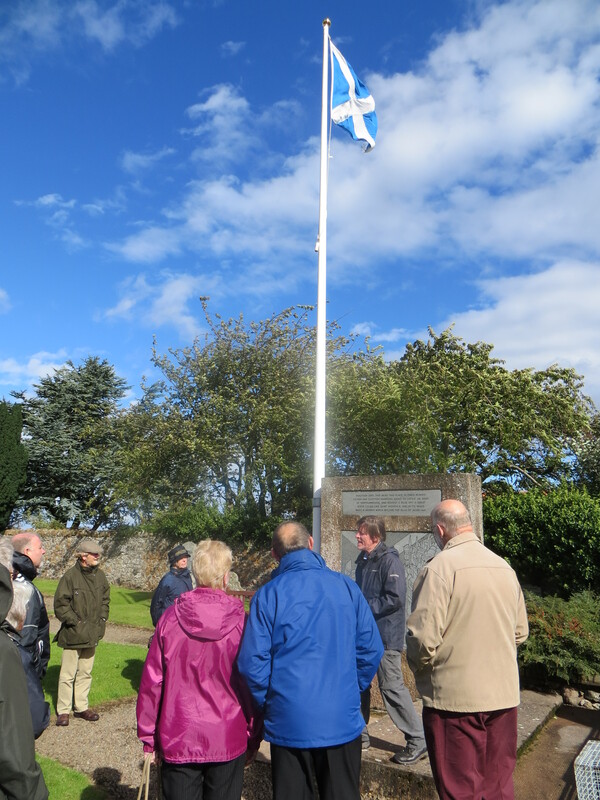 The Trustees invited “Friends” of the Flag Trust to an Open Day in Athelstaneford on the afternoon of Sunday 15 September 2013. 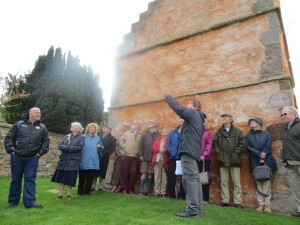 Despite the storm clouds, a hardy group arrived and in a break in the weather managed to enjoy a guided tour, taking in the Saltire Memorial, the Churchyard, and the Heritage Centre. 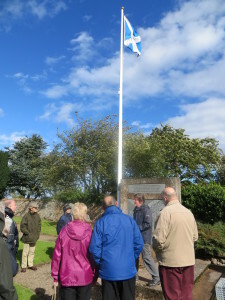 Everyone then returned to the shelter of the Village Hall to hear an illustrated talk by Trust Chairman David Williamson on the history of Scotland’s flag, and to enjoy tea and a scrumptious spread of cakes generously laid on by the ladies of the village. 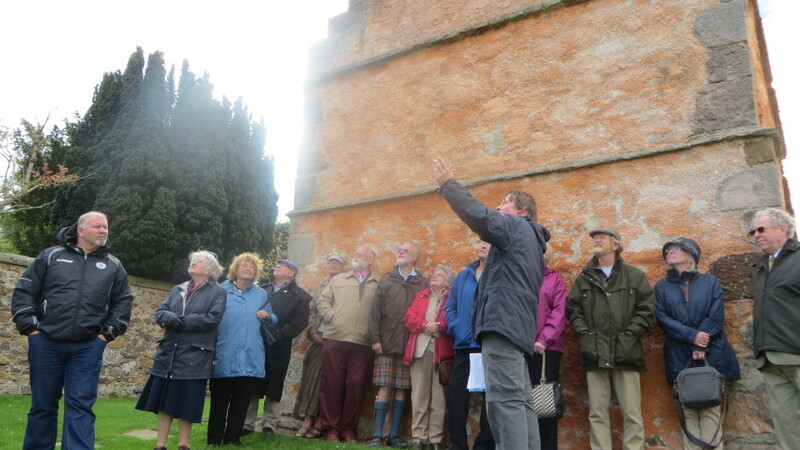 Photo: “Friends” sheltering in lea of the Doocot during the tour.